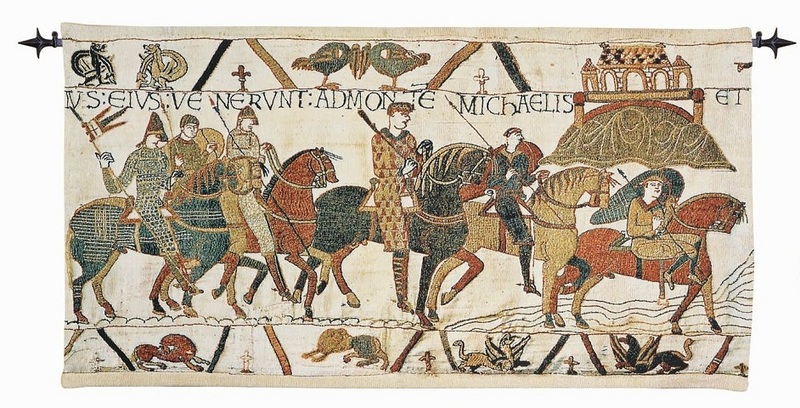 This section of the tapestry depicts Duke William,accompanied by Earl Harold , setting out on a military campaign against Duke Conan II of Brittany. A very authentic aged appearance & textured weave due to the 10% wool component. Loom woven in Belgium. Cotton and wool blend.